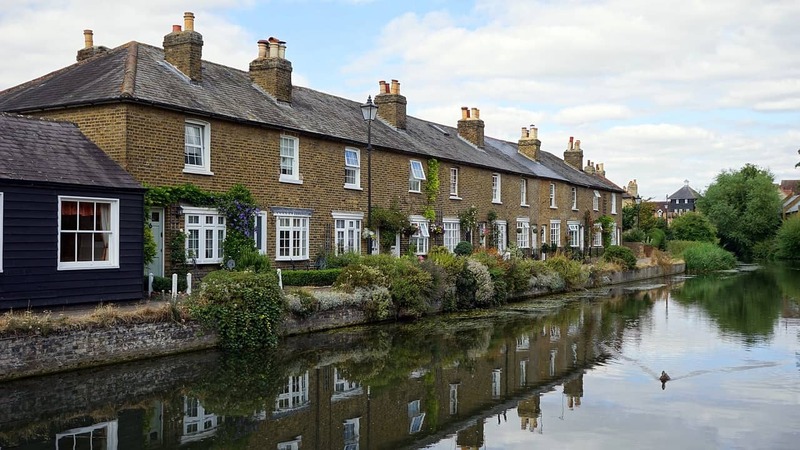 From the viewpoint of January 2019, there is one thing of which we can all be certain – no one really knows where house prices will be this time next year. There are plenty of different factors at play, including some global economic issues outside of the control of the UK government. That said, the biggest factor at play with the stability – or otherwise – of average property prices in the country hinges on one unknown question; how will Brexit play out? Over the past two years, numerous academic and research bodies have theorised into what the UK’s economy will look like in the post-Brexit world. Of course, no-one knows exactly what this will look like just yet, but most of these research papers share one common prediction; that any withdrawal from the EU which will have an adverse effect on the UK economy will also lead to a downturn in house prices. It’s worth remembering however that a ‘no-deal’ is just one of many outcomes that Brexit could deliver, so in this article we’re going to ‘reign it in’ somewhat and predict what might happen in 2019 based on the status-quo. Firstly, since the summer of 2017, the pound has been worth less against the Euro than it used to be. Many people living in the UK from EU states found working in the country and sending money home less productive than they used to. That has slightly weakened demand on the UK’s housing stock and – in places like London, at least – there’s been less growth in house prices than has been seen for many years. The weaker pound is only one factor that affects inward property investment, however. If the wider economy in the country falters and unemployment rises, then it is more likely that there will be a substantial drop in average house prices. This is likely to be first seen in towns with one or two large employers which – potentially, at least – go under or relocate into Europe. As ever, the housing market in the UK will be dominated by regional variations and the role of Brexit will be no different in that regionality. In terms of supply and demand, it is widely accepted that not enough new homes have been built over the last twenty years or so in the UK. There are some high-profile luxury developments in the country’s wealthier cities, but the number of new family dwellings across the country has not kept pace with a growing population. There are sign that things are improving however, as although the numbers of new homes are still low, they are heading up. This has a psychological effect. Remember that the value of anything – including housing – is not simply down to supply and demand, but also the perception of how much supply and demand there is. Simply put, as more new housing comes onto the market, so would-be buyers wait in the hope and expectation that prices will fall. Of course, the fewer homes of any type that are bought because buyers are holding off means that there is more and more pressure on homeowners to drop their asking prices. There are other macroeconomic condition that must be taken into account, such as the historically low interest rates that have been set by the Bank of England. These mean that, since the global economic crisis occurred, it has been relatively cheap to obtain mortgage credit. Although interest rates might rise in 2019, they probably won’t get anywhere near to the debilitating figures of the early 1990s when many homes were repossessed due to the unaffordability of repayments. Even so, just a modest rise could tip some people’s budgets over the edge and mean they look to sell in order to find cheaper accommodation, possibly in the rented sector. To sum up, predicting average house prices over the next four quarters is a little bit like soothsaying. What is likely to be true in one part of the country won’t pan out in another. Even if Brexit does not happen at all in the coming year, then it is still likely to be a somewhat bumpy ride for house prices. Like many things, it is cyclical. If there is a substantial downturn, then housing will become affordable to many people who had previously thought they’d never save enough to get on the home ownership ladder – the very thing that may see UK house prices revive themselves.